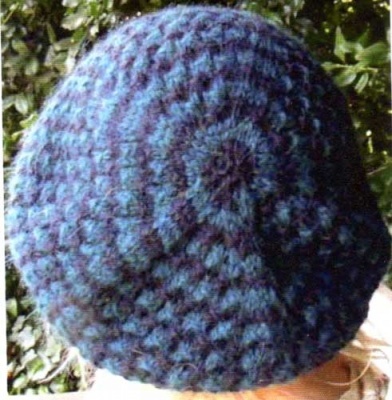 A great slouchy beret, made up using a two-color star stitch pattern, with a simple ribbed band pulling it all together. 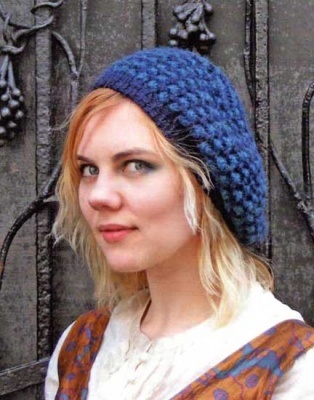 Ysolda continues the star theme on Estella with paired decreases for the crown shaping in a stockinette stitch that looks like a central starburst (see below). 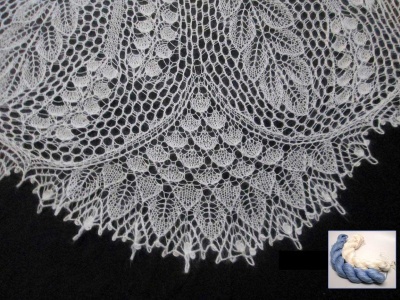 It can be worked in a single color and the lacy aspect of the stitch pattern would be more emphasized. 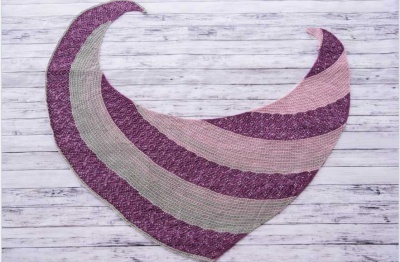 The version shown here used two colorways, roughly 75m/ 82 yards each of Color A and Color B both a worsted weight yarn. The pattern gives both written and charted directions.